The Hannon Library at SOU has a large Shakespeare collection. 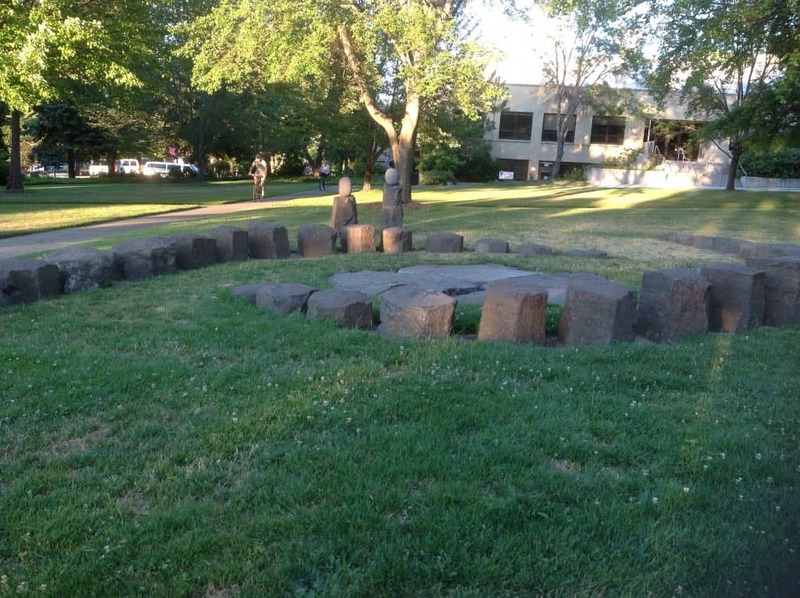 Southern Oregon University is a public language arts university in beautiful Ashland, Oregon. The largest town is Medford, and the area, just north of the California border, is about halfway between San Francisco and Portland. The 6,700 students who attend enjoy unique programs in environmental economics, radio and theatre, digital arts, forensics, journalism, criminal justice, among others. SOU has the only lab in the world focused on crimes against animals. The campus is 140 years old and many of the buildings show their age. The dorms we stayed in were far from deluxe, although we were told that the new ones were nearing completion and we would likely be the last to stay in them. The library is new and houses an extensive Shakespeare library, appropriate given that Ashland is home to the well-known Oregon Shakespeare Festival. Classes are frequently held outside in the spring when the weather is beautiful. Entering students are given a white feather, symbolizing courage, and then a black feather at the end of their freshman year. When they graduate, they are given a red feather, the last color feather that hawks (their mascot, Raider), grow as they go out into the real world. 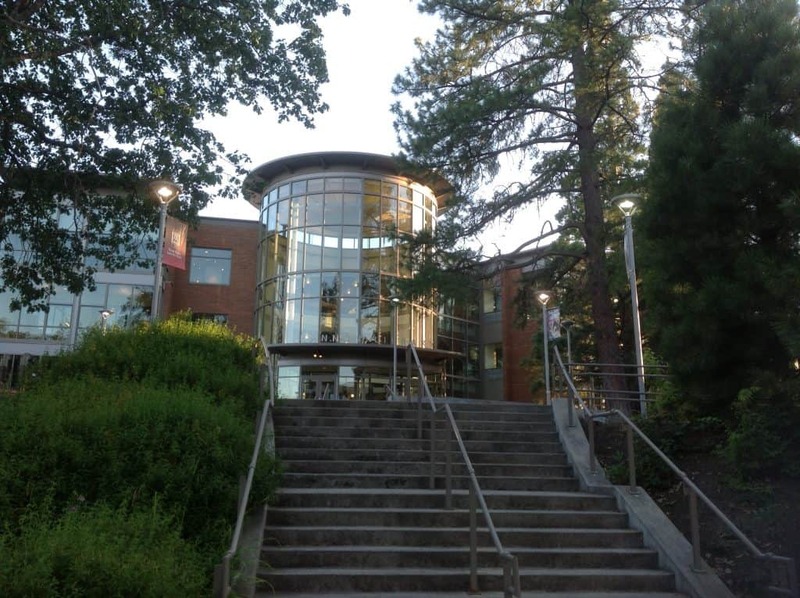 The average GPA for accepted students is about 3.25, and SAT scores average 500 per section (SOU only looks at the Critical Reading and Math sections). This campus is very welcoming for first generation students and minorities. The students I met here were all mid-range students in high school, and have found their path here. I heard some truly inspirational stories and SOU is a great example of a college that can be a great home for students who didn’t earn the best grades in high school, empowering them to choose their areas of interest and succeed academically. The video below is an example of one such student talking about how he has changed and benefited from his time at SOU. You can see all of my photos of Southern Oregon University here.